Who is available to succeed accounting firm leaders on the cusp of retirement? Finding answers to this “sixty million dollar” question is keeping many senior level partners awake at night. One of the reasons that Mergers and Acquisitions (M&A) activity is currently driving succession in the industry is that there are no quick fixes. In order to sustain firm growth and profitability into the next generation, firms need to identify, invest in and develop their next generation leaders. Not only that, they need to “fast track” the process. As well as applying standard “best practices” solutions, what strategies can firms use to increase bench strength and stay ahead on the succession curve? This may seem obvious. Industry reports, statistics, frenetic merge and acquisition activity among accounting and tax practice firms of all sizes suggests otherwise. Succession planning is a daily choice not a future option. Running a firm well now and having the people and systems in place to succeed at all levels is vital to survive. What does “leadership” look like at your firm? What qualities, skills, designations, technical abilities and expertise are needed? What will it take to succeed in the industry now and in future? What key roles will need to be replaced with successors and when? Who will the likely successors be? Can you reallocate roles? Do you need to hire and at what levels? A firm’s leadership “code” needs to be flexible, measureable and easy to execute within your chosen time frame. Having a succession plan, leadership “blueprint” and setting performance standards help direct a firm’s hiring and recruiting efforts, identify and evaluate potential leaders across the board. Everyone in the firm needs to know what’s expected in order to grow or become a future firm leader. It goes without saying that existing leaders need to walk the talk. Leadership is not for everyone and not everyone will want to become one. Everyone will want to grow! Structure and share the firm’s path to firm leadership and career development. Make it part of the firm’s recruiting and “onboarding” process for new hires (focus on retention at the start). Identify, nurture and invest in high potential employees. Engage them in mentoring new hires. 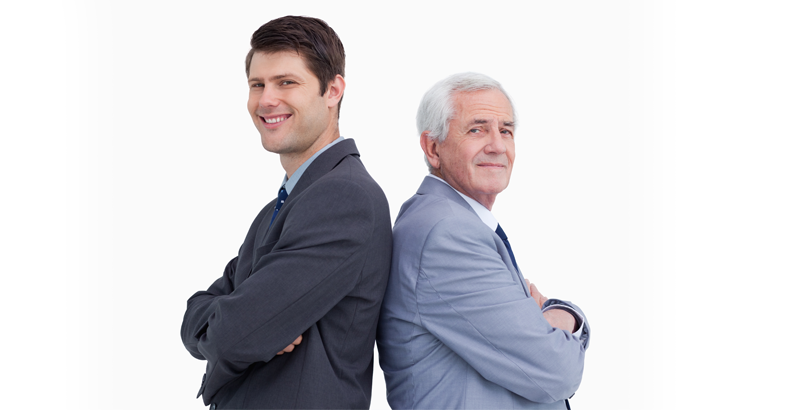 Have managers participate in the succession process. Emphasize “personal” as well as professional development (soft skills). Ask for and encourage “feedback” on the challenges as well as successes individually and as a group. Knowledge and experience is transferred from the top and begins with ongoing real-life exposure to a variety of work, clients and supervisors. Training is often a one-time only experience. Coaching is a necessary investment. Though it takes courage, allow “leaders” room to fail – experience is the best teacher. Coaching is not training and vice versa. Commit to providing opportunity for and strengthening your own bench first. The best ambassadors for any firm are its own employees. Engage them at every level. Make it safe to challenge and question leadership and ask for ideas openly. Have a system of rewards and recognition. Focus on team building and individual achievement. Maintaining a pleasant working environment and cultivating a friendly, flexible, open, diverse and inclusive culture helps firms recruit and retain their brightest and best employees and clients. A firm’s reputation is mobile and travels far, wide and fast. Organic growth in the industry is challenging. Merging, acquiring or selling a firm to support succession is a choice, and one that brings its own set of challenges. If it’s done well, M&A can give accounting firms distinct advantages in the growth and succession arena. Done badly – it can be a nightmare, risking longevity and the bottom line. Whether selling, merging or maintaining a status quo, the succession strategy and bench strengthening solution needs to resonate with the firm. There is no “one size fits all” approach. Don’t wait till the clock runs out to decide. 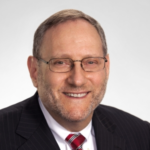 Ronald L. Loberfeld, CPA is a Principal and Managing Partner of Abrams Little-Gil-Gill Loberfeld PC (ALL), a fullservice CPA and Business Advisory firm in Chestnut Hill, MA. ALL is recognized as a Fastest Growing Firm and Regional Leader in New England. Ron plays an integral part in driving the firm’s expansion, succession and emerging leadership through merger & acquisition. An accomplished public speaker, panelist and facilitator, Ron provides senior level management consulting, strategic succession planning, and coaching/advisory services to professional service firms across New England and the USA. He regularly addresses succession challenges and concerns for CPA and professional service audiences at national and regional level conferences, firm retreats, MAP (Management of an Accounting Practice) and roundtable forums. He can be reached at ronl@all-cpas.com or 617.383.0618.